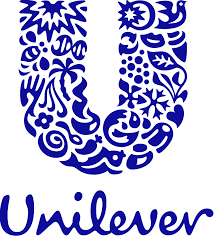 Unilever today announced it has signed an agreement to acquire the Fluocaril and Parogencyl oral care brands from P&G (The Procter & Gamble Company). Fluocaril and Parogencyl are well-known therapeutics brands sold in the Pharmacy channel, primarily in France and Spain, with a product portfolio that enjoys strong endorsement from health professionals. Fluocaril offers oral care solutions specialising in protection against cavities. Parogencyl tackles gum issues. The acquisition will give Unilever a leading position in oral care within the French pharmacy channel as well as strong positions in Spain. With their powerful brand heritage, high awareness and sound reputation amongst dentists, these brands are a great complement to Unilever’s existing oral care portfolio. Terms of the deal were not disclosed. The acquisition is expected to close in Q2 2019.